I do realize we are treading on new ground, and I also know that caution is always something one wants to pack on a journey like this. I think the town has over packed the caution duffel a bit. There is a difference in being cautious for all the right reasons such as protecting oneself, and others, from harm, and protecting others from exposure that one believes to be a negative environment. Humans have a tendency to protect one another from lots of things that are not harmful except in the mind of the beholder. I am referring to marijuana dispensaries. Recently, Sturbridge selected two sites for marijuana dispensaries in town. One in the east end of town in the manufacturing zone on Route 20, and the other in an other manufacturing zone on the west end of Route 20. One of the reasons these areas were selected is that they would not impact residential areas, and that the town has deemed them to be "manufacturing" as opposed to agriculture. First of all, marijuana dispensaries are not Methadone Clinics. Marijuana dispensaries dispense medication, on a physicians order for the treatment of a wide variety of conditions. The list is too numerous to list here, but can be viewed by hoppin' on the Google, or by clicking here. People that go to a marijuana dispensary are those that have most likely tried other treatments for their condition, and they either did not work well, or at all. Marijuana was just one more thing to try, and for many, it worked well enough to continue the treatment. The evidence is clear, and as a result more states are allowing the dispensaries to set up shop within their borders for their residents. The commonwealth will allow only two dispensaries for Worcester County, and both of them will be in Worcester, but we have to allocate an area inside Sturbridge for dispensaries in the event more are allowed in the future. The town chose areas that were in manufacturing areas because they decided, on advise of counsel, to define the dispensaries as manufacturing areas, not agricultural despite the fact that the marijuana would be grown on site. We don't manufacture corn, or blueberries. Marijuana is grown as well. Regardless, the areas were also selected because they are not in residential, and commercial areas. Besides the zoning requirements, I don't see what harm a medical dispensary, or pharmacy would have in a commercial area. People that use the dispensaries are those that have a valid reason to do so. They also use Rite Aid for similar reasons which are in commercial zones. Everything from Penicillin, to Digoxin, to Oxycontin, caffeine, L-Dopa, Vincristine, Nicotine, Atropine, and on and on are derived from plants, and are sold in pharmacies. We are moving forward, cautiously moving forward. 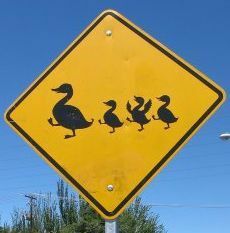 This is a big deal for residents of Massachusetts, and Massachusetts is just trying to keep it's Marijuana ducks in a row, and although a valid statement, it does give one a visual worthy of a smile on this Sunday morning. Well, The "Ye Olde Townie" Crowd's all got their undies in a bunch because they think that "medical marijuana" law passage means it's cool now to let Cheech and Chong set up a roadside stand out of the trunk of a '64 Impala sellling dimebags anywhere in town. Never mind (and let's put aside) the known fact there's enough underground weed circulating 'round here to mellow out a Gillette-Stadium size crowd of Deadheads. The current proposal to zone any "medical marijunana" sites out to the boonies is not needed, and just more bad and worthless gas from a bunch of mis-informed folks who probably could use a toke or two to loosen up. Wish they'd join us in THIS century and get informed. Any...and all medical herb will come in the form of pills. liquids, and lozenges and/or lollipop type candies only available with a prescription like all the other controlled narcotics available at (guess where...wait for it) Rite Aid and CVS. Meaning that if the Good Old Constipated Crew at the Sturbridge Zoning Board (who got it wrong again) prevail it's only gonna be a matter of time to wait for the roll back when lawyers from CVS and Rite Aid ask for relief from this stupid ordinance. And they will get it. Of course, never mind how knee jerk this all seems. The Zoning Gang don't care 'bout that. This is the crew that brought you illegal spot zoning at New Boston Road for a complex that will now never be built (thanks, spotted salamander!) and a poorly thought out moratorium on any and all wind power generation (how Nimby of them!). The hits just keep on coming. They ought to put a windmill on the town seal. 'Cuz most folks on committees 'round these parts like Zoning sure spend a lotta time tilting at them!.